The United Council on Welfare Fraud is an organization whose primary goal is to strengthen the integrity of our public assistance programs. We do that by providing our members with a variety of training and collaboration tools to improve their ability to identify, investigate, prosecute, and recoup fraud committed against the public assistance programs in North America. We also have a public role. Part of UCOWF’s goal in strengthening the integrity of these social programs is by providing a site where the public can learn about our members’ efforts to reduce fraud and about current affairs affecting assistance programs so the public can weigh in with their elected officials on a topic they feel strongly about. UCOWF is a non-profit organization, not an extension of any government entity; we are not empowered by any authority to investigate fraud. Our members are empowered to take action against suspected fraud by authorities within the boundaries of their own jurisdiction and purview but UCOWF is not an investigative agency nor does membership in UCOWF authorize anyone to conduct investigations into public assistance fraud. UCOWF does not obtain or develop statistics concerning welfare fraud. Welfare fraud is defined differently by states and provinces and is defined differently between the various programs. Some counties, states and provinces may have specific statutes defining and addressing welfare or public assistance fraud. 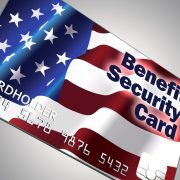 Others may use more general criminal statutes under which the various forms of welfare fraud are lumped. Given this disparity of definitions, getting a true measure of fraud nationwide is nearly impossible. UCOWF does not lobby lawmakers; our By-Laws expressly prohibit lobbying activities. We do provide our position and views to the administrators of our nation’s social programs as they refine the way the program functions. We may also reach out to members of Congress to offer our perspective or creative solutions identified by our members that strengthen program integrity measures within certain programs. We provide an avenue for the public to report fraud that they suspect is occurring. A report to UCOWF is forwarded to the proper authorities within the state, county or province in which the suspected fraud is occurring. We will also publicize pending legislation that we believe would weaken the safeguards in place to detect or prevent fraud from occurring. Through commentary, we attempt to provide a ‘single voice’ to concerns that we believe exist in these taxpayer-funded programs in hopes that the public will carry that message to lawmakers. Public assistance programs reflect the generous nature of our citizens and the noble idea that helping those less fortunate is characteristic of a civilized society. There are those who will purposefully take advantage of that generosity by committing fraudulent acts, however, and it is that small group that warrants our attention and efforts. Each year UCOWF sponsors an annual training conference for its members. These four day conferences are held throughout the United States in August, September or early October. The conferences provide training for investigators, prosecutors, collections and claims staff, and administrators on the latest techniques in the prevention, detection, and prosecution of welfare fraud and in the administration of welfare fraud programs. Information on upcoming conferences will be updated on the public home page as plans are finalized. Among the 600+ members of UCOWF is a wealth of knowledge, skills, abilities and experience in the realm of welfare fraud. Collaborating with fellow UCOWF members for ideas, strategies and solutions improves each member’s skill set. UCOWF facilitates collaboration through its Member Forum. The forum provides a platform for any welfare fraud-related issue that can arise for which a solution or strategy is sought. Through a simple question and answer format, discussions pertaining to solutions, emerging trends, innovative techniques, and new technology can be shared with any member who seeks solutions to problems encountered in their job. UCOWF administers the Certified Welfare Fraud Investigator (CWFI) program. Prerequisites exist for a member to sit for the CWFI exam and the exam covers a variety of topics that range from investigative techniques and standards to specific public assistance policy. The exam is administered to those who apply and are approved by the CWFI Board. Once passed, the member is awarded the CWFI title and must maintain that certification through annual continuing education requirements. The CWFI title distinguishes a member as apart from his or her peers: a knowledgeable, fundamentally-sound, and reliable investigator. Additional certification programs are being considered for development so that members who are not investigators can achieve a UCOWF certification in their areas of expertise. Whether news pertaining specifically to UCOWF or news from external sources, staying abreast of current events shaping the public assistance program integrity landscape is important for continuing professional development. Be it articles about latest trends in program integrity, large-scale investigations somewhere, or articles and reports about pending changes to public assistance programs; if the article or report is widely published on the internet, UCOWF will employ open-source newsfeed services to bring that information to its members. Staying abreast of current trends and issues, targeted training materials and facilitating collaborating with peers across the continent are the ways UCOWF is achieving its goal of providing professional development opportunities for its members.